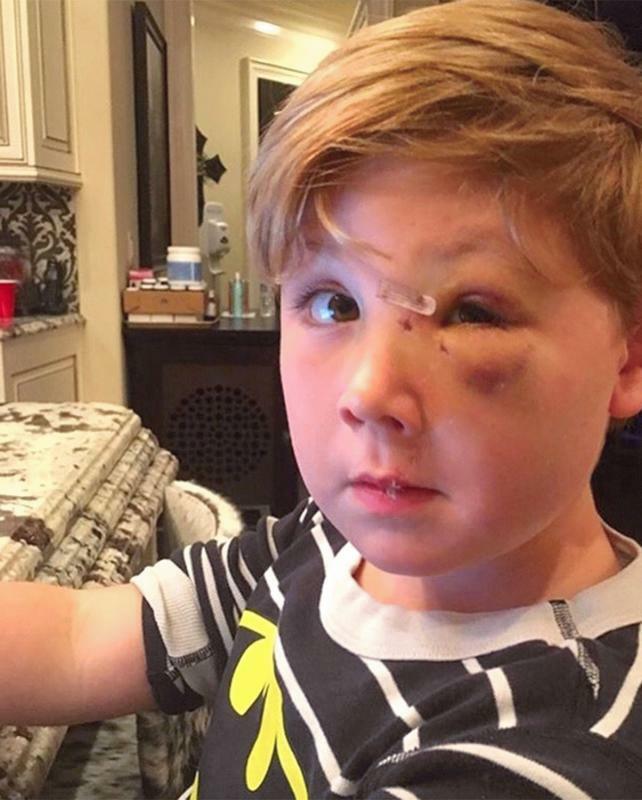 Los Angeles, CA, United States (4E) – Reality star Kim Zolciak-Biermann shared on Instagram in April that her son, four-year-old Kash, got bitten by a dog and in her latest post, she gave an update about how the toddler is doing. Zolciak-Biermann did not specify in the April post that her son got bitten in the face. In her new Instagram post, it showed that the toddler’s eye was recovering from the bite. The photo also showed bruises around the eye and the cheeks of the boy also looked swollen. She wrote alongside the photo of Kash, “Kash and our entire family want to Thank each and everyone of you for all your prayers! Kash has healed up incredibly and has perfect vision in his left eye. Stitches on his water line, and his eyeball was never touched! God is Good!” She also thanked the doctors who worked on his son namely Dr. Joseph Williams and Dr. Berland. In the April photo posted by Zolciak-Biermann, the snap showed Kash and his dad, Kroy Biermann. In the photo, Biermann held Kash’s hand while doctors and nurses evaluated the extent of the injuries.